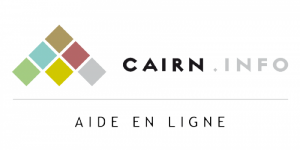 Cairn.info is an online platform, founded in 2005, that offers electronic versions of key French-language publications (journals, books and magazines) in the social sciences and humanities (HSS). Featuring close to 500 journals and 10.000 books from the catalogs of 200 publishing organizations (university presses, scholarly societies, etc.) Cairn.info is without doubt one of the major resources for internet users (researchers, students, professionals and many others) interested in such publications. Cairn.info’s business model is a mix between free and paid content. Certain journals are entirely freely accessible without embargo. Others use a moving paywall whereby the most recent issues are only accessible to paid subscribers while older ones are freely accessible. As a result, two thirds of all journal articles on Cairn.info are freely accessible, in HMTL and PDF, to all internet users. Given the diversity in the types of publications offered on our platform, as well as the diversity in the types of publishing organizations that we work with, we enjoy a privileged vantage point on French-language HSS publishing, enabling us to express our opinion of Plan S – without claiming to speak on behalf of every actor of the field. It is quite rare for an article (and even more so for a book) in social sciences and humanities to be the direct result of a single, publicly funded research project. On the contrary, it is often the outcome of several different research projects and the author’s personal reading and thinking. Moreover, the results of a publicly funded research project can show up, marginally or not, in several publications by the same author. In HSS, it will be particularly difficult to define the scope of application of the measures of Plan S.
Unlike STM journals, HSS publications very often combine academic articles (that may or may not be the outcome of publicly funded research – insofar that they can be identified as such) with other types of articles: professional practice papers, method papers, essays on social issues, summary articles, conference proceedings, etc. This diversity is what allows HSS publications to reach a readership beyond the academic world. A journal should be allowed to feature freely accessible articles that have received upstream funding (for example through APC’s) while continuing to sell subscriptions to its paid content. If not, the undesirable outcome could be two separate publishing sectors in HSS: one, freely accessible and purely academic, and another, subscription-based and geared towards non-academics (professionals, general public). As stated in the position paper written by Brill and De Gruyter (which we fully support) research in HSS is frequently under-financed. It is also rare (if not exceptional) to have a budget specifically geared towards the payment of APC’s. Researchers in HSS are, for the most part, very wary of the “Pay to Publish” model. The HSS publishing landscape, particularly in the francophone world, is very diverse. There are global publishing houses, smaller, independent publishing houses, university presses, scholarly societies, etc. They are often (very) small and unlikely to be able to adapt quickly to a fundamental change in their business models. That’s why we find the quick and complete transition to an Open Science model, as recommended by CoalitionS, unrealistic and potentially counter-productive – the main risk being an increased concentration of the publishing sector. Finally, we’d like to point out that the cost of access to publications in HSS is already very low. On Cairn.info, the average price of paid articles (which account for less than a third of all articles available on the platform, the rest being freely accessible) is less than 4€. For a European university with an institutional subscription to our service, the average annual price per journal is around 40€. We believe that Plan S fails to take into account the unique characteristics of francophone social sciences and humanities, and as such could have the counter-productive effect of an increased concentration of the main actors of the field, to the detriment of the many smaller structures that make up this diverse ecosystem. Define precisely the exact types of articles/publications that will be impacted by the measures of Plan S.
Conduct an impact study of the number of publications concerned and financial consequences of Plan S for these publications. Foster, rather than restrict, the existence of journals that combine free articles (through APC’s) and paid ones. Tailor the roadmap suggested by CoalitionS to the needs of the (very) small publishers that make up the francophone HSS publishing landscape.